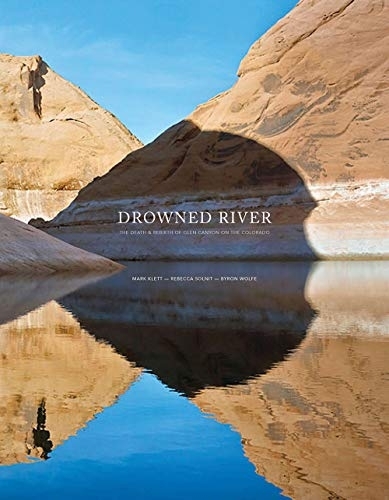 The Death and Rebirth of Glen Canyon on the Colorado. Photographs by Byron Wolfe and Mark Klett. Text by Rebecca Solnit. RADIUS BOOKS, Santa Fe, New Mexico, USA, 2017. In English. 212 pp., 80 illustrations, 11¼x13". In dialogue with Porter’s book, Klett and Wolfe retraced the physical locations where Porter made his photographs, now often submerged by the reservoir’s waters. Solnit’s accompanying text meditates on the meanings and histories of the place, drawing from both the trio’s explorations and archival research. Drowned River is a book about climate change, about “the madness of the past and the terror of the future” (as Solnit puts it). But it is also a book about how photography can describe beauty and trouble simultaneously, and what it takes to understand a place and to come to terms with the changes we have set in motion. Signed copies are signed by all three contributors.